How Did the Real YMCA React to the Disco Song About It? Everyone also liked “Y.M.C.A.”—except the actual organization. Morali’s upbeat song spent 26 weeks on the Billboard Hot 100 chart, reaching its number 2 slot in 1979. Yet, to a degree, this success irked real-life Young Men’s Christian Association officials. 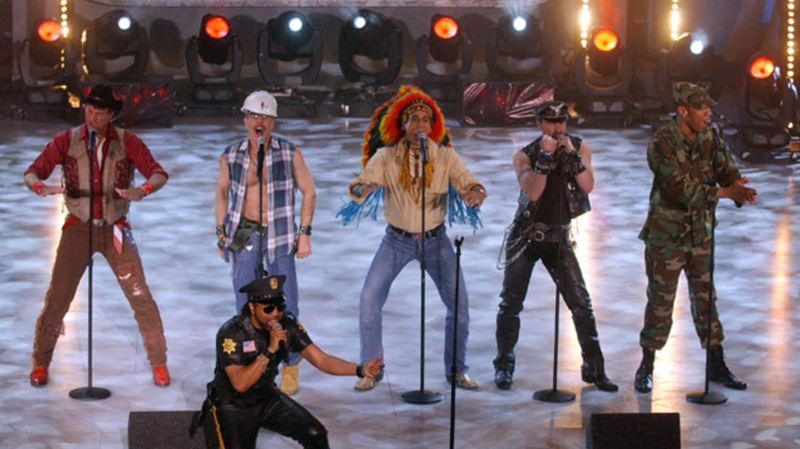 Y execs didn’t, as some believe, take issue with the Village People’s pro-gay themes or large LGBT fan base (at least, not publicly). Copyright infringement, on the other hand, was a real bone of contention. What happened next is unclear, but, eventually, both parties made peace and the Y changed its tune. “We at the YMCA celebrate the song,” said media relations manager Leah Pouw back in 2008, “It’s a positive statement about the YMCA and what we offer to people all around the world.” 1999 even saw the Village People visit an actual London-based Y, where they signed a guitar shaped like the Y.M.C.A. logo.